The watch collection offers an exciting entry into the world of Marc jacobs with an energetic and unexpected point of view. 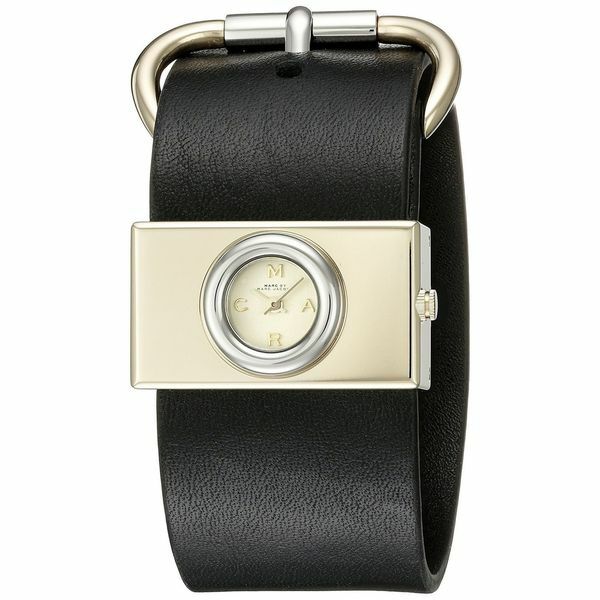 This women's watch from the Viv collection features a black leather strap and gold-tone dial. I would have loved this watch, had it arrived in new condition. The one I received looks as though it were a display model. The width of the strap is just what I've been looking for. The face is extremely small but the watch itself makes a great bold statement.